I’ve been “Limericked” by OZ!! 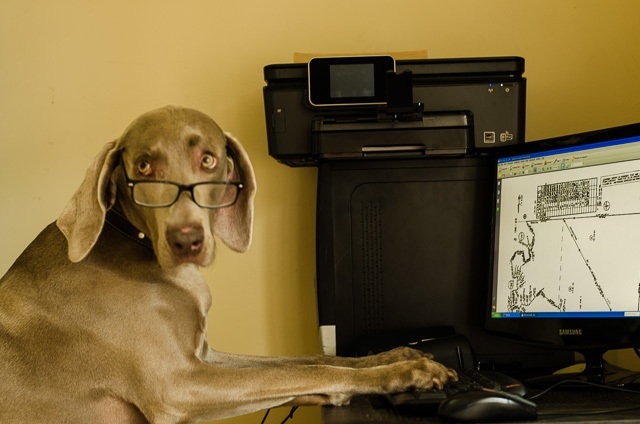 My buddy Oz The Terrier is a regular wordsmith! 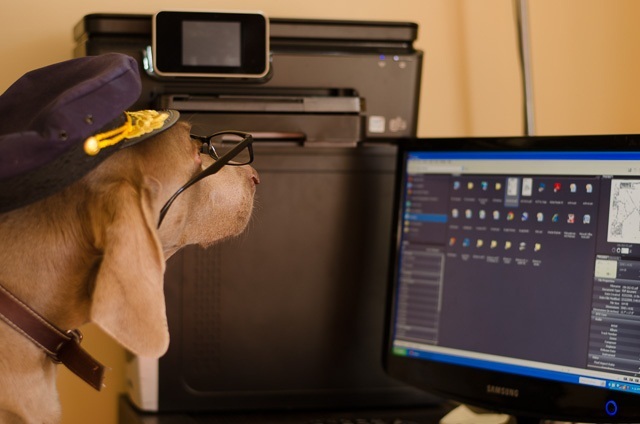 All of the blogging doggies LOVE his way with words and his limericks and we always tell him so! Because we love them so much, Oz gave us all the chance to be “limericked! !” yeah I made that word up!! Guess what? I decided to “bite” and have him do one for me. Wait til you read mine! Oh my DOG did my Mom and I bark out loud about THIS ONE!! *****An original poem by Oz the Terrier; re-posted with permission, in its entirety, as originally posted at www.oztheterrier.com. Happy Birthday Pip & Sissy! We just heard that our buddy Pip is having a birthday today and so is his human sister, Sissy! 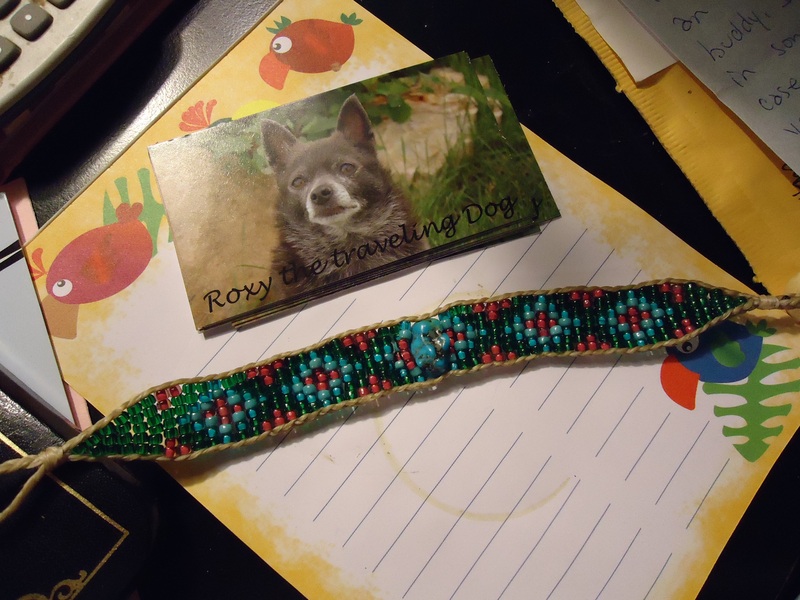 Back in January our friends at one of our favorite blogs, Roxy The Traveling Dog, had a give-away where you could win one of the beautiful, handmade, beaded “necklaces” that Roxy wears. Photo Courtesy Of Roxy The Traveling Dog. Click on the photo to visit! Click here to see more colors and styles. Mom entered the give-away, and was lucky enough to be one of the two winners! Do you believe that Mom had the nerve to ask Roxy’s Mom if she could have her prize made as a BRACELET for her? What nerve! Mom’s reasoning was that my “mane’ is so long that if I wore a beautiful collar/necklace like that it would never be seen, and my kitty brother, Cody, who it WOULD fit, doesn’t wear collars. Roxy’s Mom was kind enough to make Mom her own bracelet and Mom couldn’t have been more excited when it arrived! Along with the bracelet that Mom adores, she received a lovely note from Roxy and Torrey’s Mom as well as some of their beautiful business cards. (Ignore the notepad with the coffee mug stain that Mom put the bracelet on, geeze!) 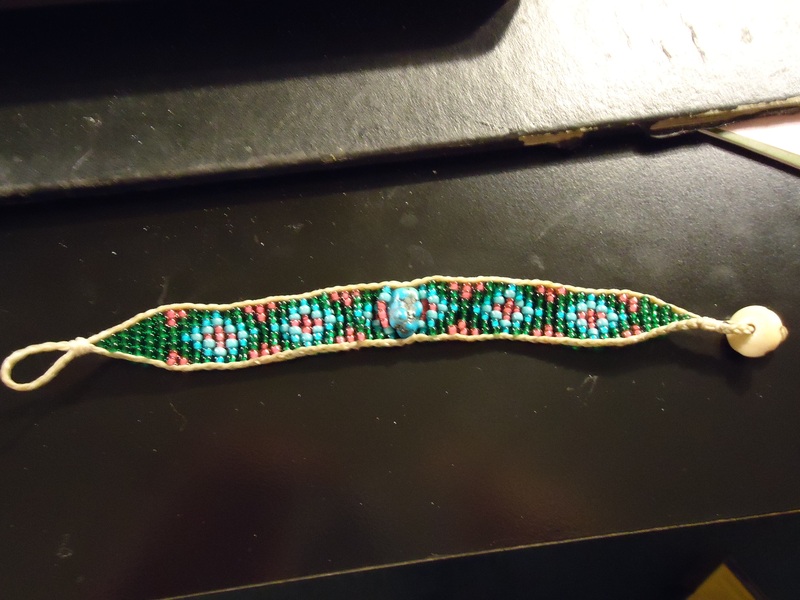 Here is a better shot of how beautiful the bracelet is! All necklaces are 5/8″ wide, unless ordered larger, and any length you need. Cost is $2.00 per inch. Matching people bracelets are 7″ and $15.00, unless you request differently. 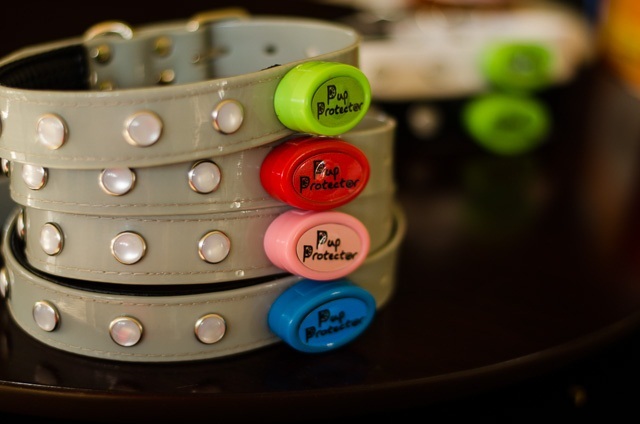 Available colors – White, black, red, yellow, green, pink, orange, coral, lilac, beige, crystal clear, dk.blue, light blue, turquoise. Patterns– Horizontal stripes, checker board w/line, random dots, vertical stripes, checker board, zig zag, stars, Native American. Thank you Roxy and Torrey! Mom LOVES her bracelet and will wear it with pride! To MY “Queen of Hearts” Happy Valentine’s Day! 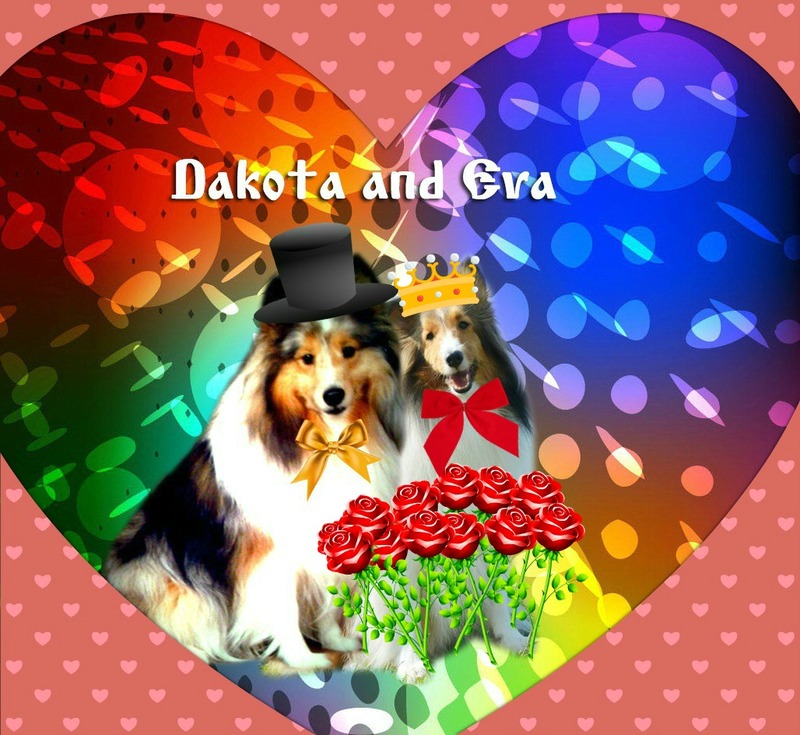 There were a number of us in the U.S. who didn’t realize until the last moment that Mollie and Ranger’s Valentine’s Ball was going on all week and many of us had other blogging obligations that we had to fulfill and were unable to adjust our schedules. I still was lucky enough to attend the ball with MY “Queen”….EVA……..
We had a wonderful time and appreciate all the work that was involved in putting on such a spectacular event! Neither Eva nor I had any aspirations of winning the title of “King and Queen” of the Valentine’s Ball, and of course we didn’t, but in OUR hearts we will always be “KING” and “QUEEN” to each other! 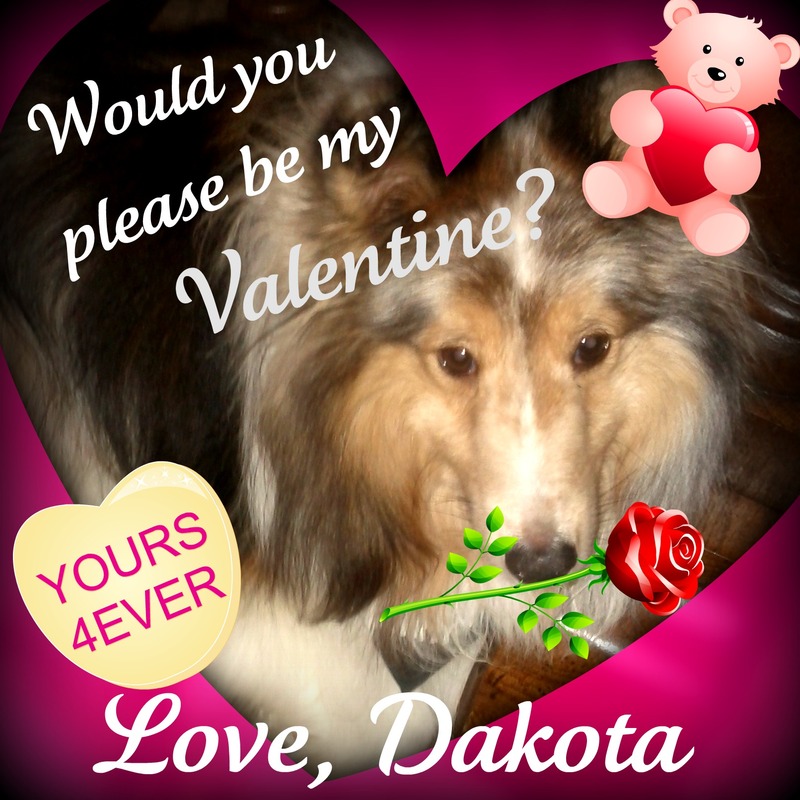 Happy Valentine’s Day my precious and stunningly beautiful Sheltie girlfriend Eva! Be sure to stop over to Mollie’s and see who the REAL King and Queen of the Valentine’s Ball was. Thank you for being our special furiends and for sharing your day with us!! I won a BarkBox and Cody won too! Photo Courtesy of Roo’s Doins, click photo to visit his blog! Now being the super generous dog that he is, Roo was having a give-away for a BarkBox and/or a MeowBox as part of Roo’s Birthday/Gotcha celebration and I decided to enter! click on the photo to read more of his blog post! I was BEYOND excited that I won! Look at all of my stuff! Do you believe it? One of my favorite things in that box are the blueberry treats by Fruitables Pet Foods! They are the perfect size for all of my treat toys and they are super delicious! Not to mention the great treat toy by Bionic and of course a gift card from our pals at chewy.com !! Everything I love!! Mom was super impressed with the Bark Box and said if she ever starts making some money again that maybe she will look into this for me. If not for me, it would make a great gift for some other lucky doggies! Now, if that wasn’t generous enough, Roo even got presents for my kitty brother Cody, so he wouldn’t feel left out! Look at all of this stuff that Cody got! There was a KONG kitty toy, a dangly, a KONG brush, a blanket and wait! Even THIS! A Cat Amazing treat maze for Cody! Click on the photo to enter to win one on Cody’s blog!! You have til Monday at 5pm EST to enter! Here is a video of Cody enjoying his Cat Amazing! Both Cody and I want to thank Roo for his INCREDIBLE KINDNESS AND GENEROSITY! It would have been enough for just ME to win (of course! 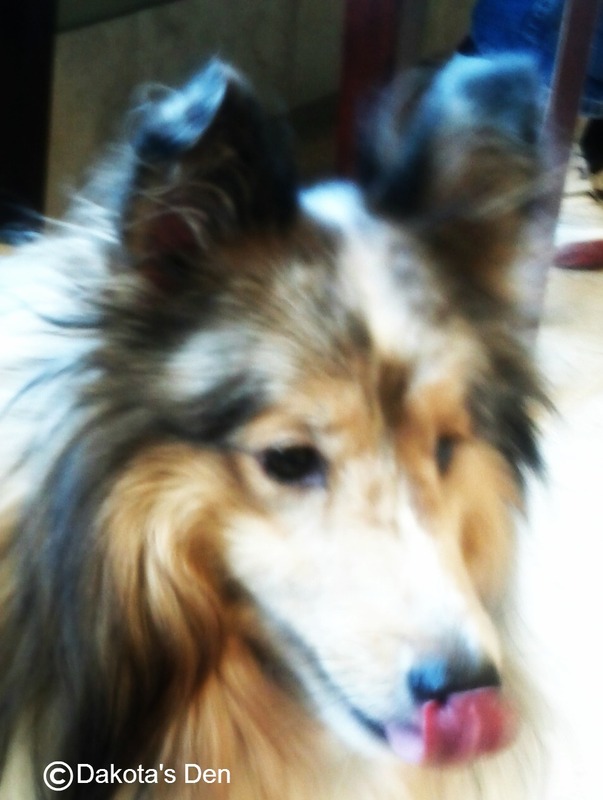 ), but to include Cody as well, was one of the kindest things we have ever experienced.